Various British dance champions demonstrate the Baltimore. In the Jazz Age, almost everyone danced so they did a dance almost anyone could do. 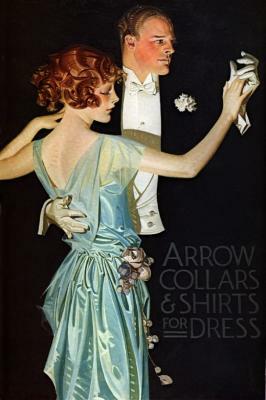 In my zeal to document the social dances of the Jazz Age, I have built a rather large and intimidating collection of web pages and videos (the menus on the left and right of this page attest to that), which while they may be of interest to the aficionado, might be a bit much for a busy person in a hurry. So, I have briefly summarized my key points. These observations relate primarily to Fox Trot, which was the fundamental foundation of almost all the dancing of the time and a promiscuously applied catch-all name for any dance in 4-4 time. Most of this also applies to the two other common Ballroom dances of the time: the Waltz and the Tango. For discussion of how the youth dances (Charleston, Swing etc.) Latin dances and the like fit into all of this, click on the links on both sides of this page. It's Different: The Foxtrot of today IS NOT the Fox Trot of the Jazz Age. Dances evolve over time, and what you see today called the Foxtrot is not what you see in the old movies. 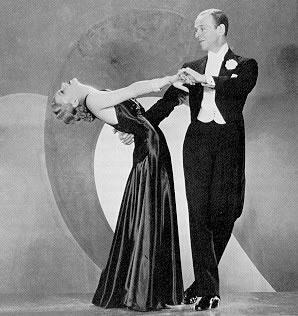 In this brief posting, I will muse on what went wrong with dancing that made men desert the dance floor, and end with a few ideas I try to put into practice to make them a little more willing to get out of their chairs and dance. Much of what I say applies equally to women, but for this particular post, I'm singling out the guys. There was once a time, not so long ago, when everyone, men and women, danced. Every public space had a dance floor and regular live music, most restaurants had dancing, every hotel hosted regular dances, and you couldn’t have a celebration or large social gathering without dancing. When men felt lonely and isolated, they would go to a taxi dance hall and pay women to dance with them. Dancing was central and essential to society and to the way men and women interacted. 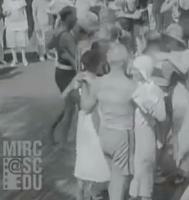 Through the '40s and '50s, general public dancing was in a slow decline, but was still pretty widespread. 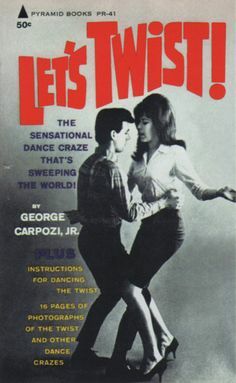 Then, around the 1960s, something fundamentally changed and men, who had always had a tendency to be less enthusiastic about dancing than women, started to withdraw from the dance floor. When they were kids, they would reluctantly join the girls for some freestyle gyration, but as soon as possible, most of them found an excuse to sit down. So, what happened? Why are men so reluctant to dance anymore? A friend posted an article on Facebook a while back that lamented the serious decline in singing in American churches. The gist of it was not that American churches had succumbed to the teachings of some harsh, pious, music-hating sect - there was still plenty of music, but it wasn't the congregation providing it. They hadn't been told not to sing, quite the contrary, but the ones leading the music were very proficient well-amplified musicians performing complex music, with frequent new pieces to keep it "fresh" and demonstrate their musical chops. The poor congregations, so it would appear, just can't keep up. The days of old Father Tom, in his creaky baritone, accompanied by an equally creaky organ, leading the flock in the umpteenth rendition of the Doxology appear to be largely passed in many congregations. Their "joyful noise" doesn't need a bunch of untutored parishioners to be awesome. This is not limited to church. In fact, adults don't sing in company anymore, outside the occasional binge of booze-enhanced Karaoke - unless they are pretty darn good.